The World’s First International Giant Robot Fight Is Coming In August! Japan Vs. America! Don't you wish all international debates were settled in a giant robot fight? Strap in folks! Today we aren’t talking about Facebook’s business decisions or some new gadget or Elon Musk. Nope, today we have a good old fashioned showdown that’s circled the tech news world for years, and finally, we have a date with destiny. It’s time for the world’s first international giant robot fight! For those that don’t know, back in 2015 an American robots company known as MegaBots challenged Suidobashi Heavy Industry to a duel. The Japanese company said yes, and the world was left in a state of perpetual suspense as we all waited for the inevitable throwdown. Well, two years later and the date is now set: August of this year! The robot loving world has eagerly awaited such a fight as modern robotics experts and amateurs have raced to create fully functional pilotable giant robots or mechs as they are colloquially known. For some time the closest we had was the likes of that life-sized Gundam in Tokyo. But then, in 2012, Suidobashi Heavy Industries unveiled their robot known as Kuratas, revealing it in 2012 and showcasing it at Wonder Festival. The machine hit worldwide acclaim when the YouTube video showcasing Kuratas hit YouTube. As of April of 2013, the unit can be purchased for $1,353,500 US, and you can buy it on Amazon. No, we aren’t kidding. From there it went viral becoming an instant sensation on social media as news outlets praised this as the birth of the age of giant robots and giant robot fights. Unsurprisingly a challenger emerged from the US from MegaBots (whose features we’ve covered earlier) stating that they wished to challenge Suidobashi in a giant robot fight with aspirations to have the competition lead into the development of robot fights as a larger international sport. And then Suidobashi responded stating that the fight would be melee only. 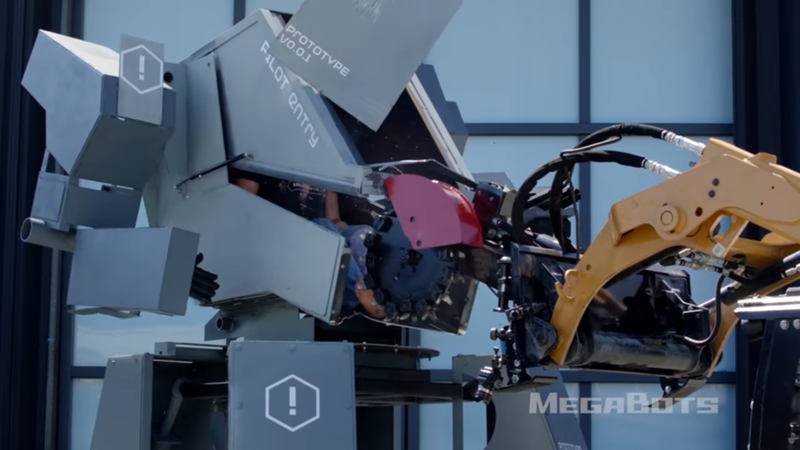 From there MegaBots went into a Kickstarter to make this happen as their MkII lacked melee capacity. Well, it seems like they overcame that design flaw back in December. 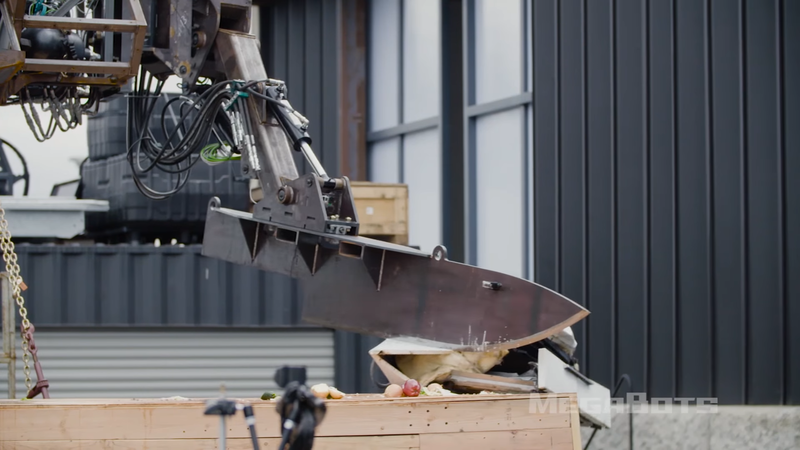 Since the Kickstarter MegaBots have regularly updated on YouTube showing the development of the MkIII. These videos include its new features which include chainsaw hands, grabbing claws to pick up cars and even a giant knife arm. Conversely, Suidoboshi has remained entirely quiet about any improvements to the Kuratas opting to leave those for surprises at the fight. At this time the only thing announced about the upcoming fight is that it would happen in August of this year and that the location would not be revealed. MegaBots stated that both their YouTube channel and Suidoboshi’s would feature the fight. So far, no word on if the fight will be streamed live. The rest of us just have to wait and hope this is just as awesome as our four-year-old selves imagined.